Look no further as the Raptor Black Running Boards are just the addition you need for your vehicle. Perfect for getting in and out of your cab, you better believe these boards are safe and secure. Not only that but they look cool too! These super wide 7" step boards are complete with non-slip step pads. They are crafted from a durable stainless steel and then coated in a black powder-coat. The no drill installation makes the Raptor Black Running Boards even more appealing! What are you waiting for? Order your set today! Raptor Black Running Boards are backed by a limited lifetime warranty. 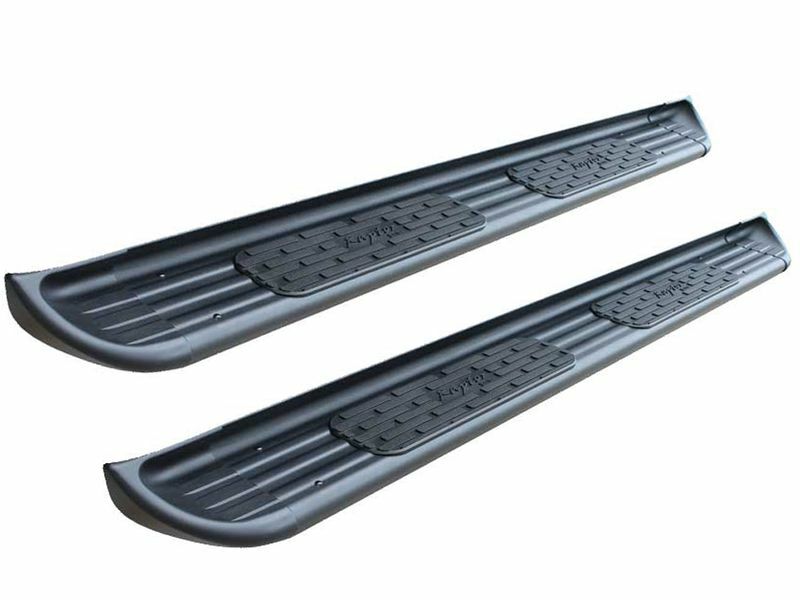 The Raptor running boards are made to be installed by anyone at home with very little difficulty. Brackets are pre-installed to the boards and factory holes are used. There is some drilling on certain application. For additional information see the installation manuals below or call us at 1-877-216-5446 or 701-253-5906.